LeBron James and Giannis Antetokounmpo have selected their teams, “trades” have been made, Dunk Contest/3-Point Shootout participants have been announced, and NBA All-Star Weekend in Charlotte is right around the corner. 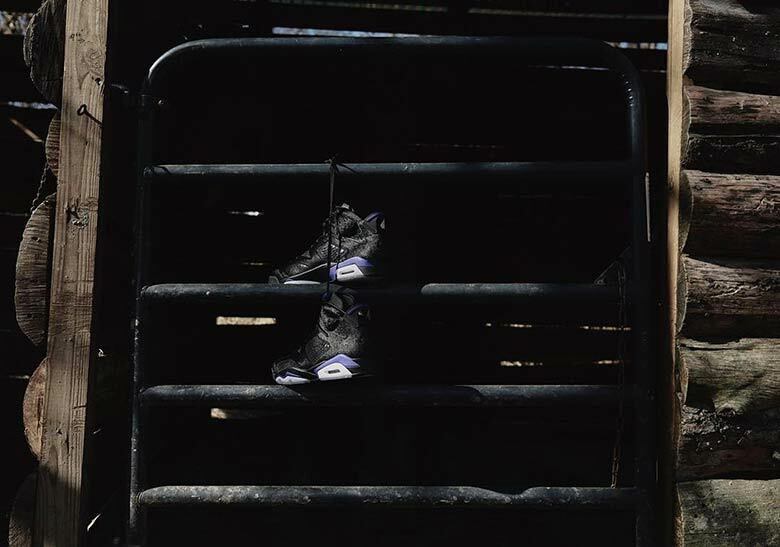 It’s a weekend full of homage-packed releases for Nike and Jordan Brand as well, and the most city-centric pair may very well be the Social Status x Air Jordan 6 “Black Cat” — a shoe that features a construction inspired by MJ’s menacing nickname and accents nodding to the hometown Charlotte Hornets. Although release information has seemingly ping-ponged back and forth multiple times, official details have finally arrived: the “Black Cat” Air Jordan 6 will release exclusively at Social Status on February 14th, then see a wider rollout on Nike SNKRS a week later on August 21st. Be sure to swing by Social Status to take in the release festivities if you’ll be in Charlotte for the game, and be sure to check out the Nike/Jordan All-Star events as well.